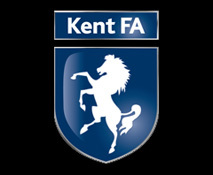 Shepherd Neame, the sponsors of Tankerton FC's 1st Team, are also Royal Warrant Holders for two of their products, Grant's Morella Cherry Brandy and Spitfire Premium Kentish Ale. As Royal Warrant Holders, members of staff at Shepherd Neame are allowed to apply for grants from the Royal Warrant Office to support charities they are involved in. Andy Davidson, our chairman, successfully applied for £1,275 to pay for a defibrillator to go in our new Medical Room dedicated to the memory of Bailey Yanik, a player unfortunately taken from us at a young age but always remembered. 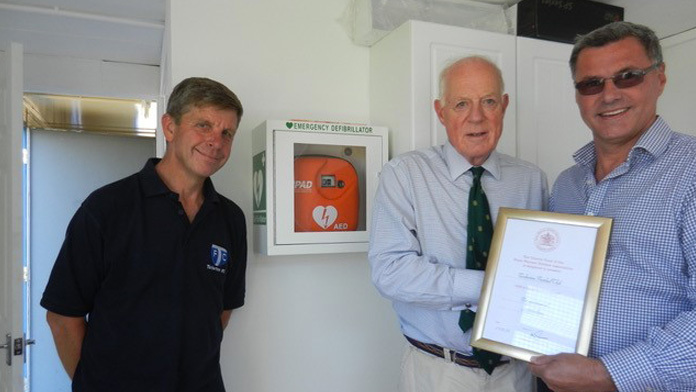 It was with great pleasure that Andy Davidson and Terry Whyte, our club secretary, accepted a certificate from Bill Gunn of The Royal Warrant Holders Association Charity Fund, recognising their donation to Tankerton FC.